Hamilton Academy of Performing Arts is an independent day school that provides a unique opportunity for its students in Grades 4 to 12 to pursue excellence in both the Performing Arts and Ontario Ministry of Education elementary and high school curriculum. 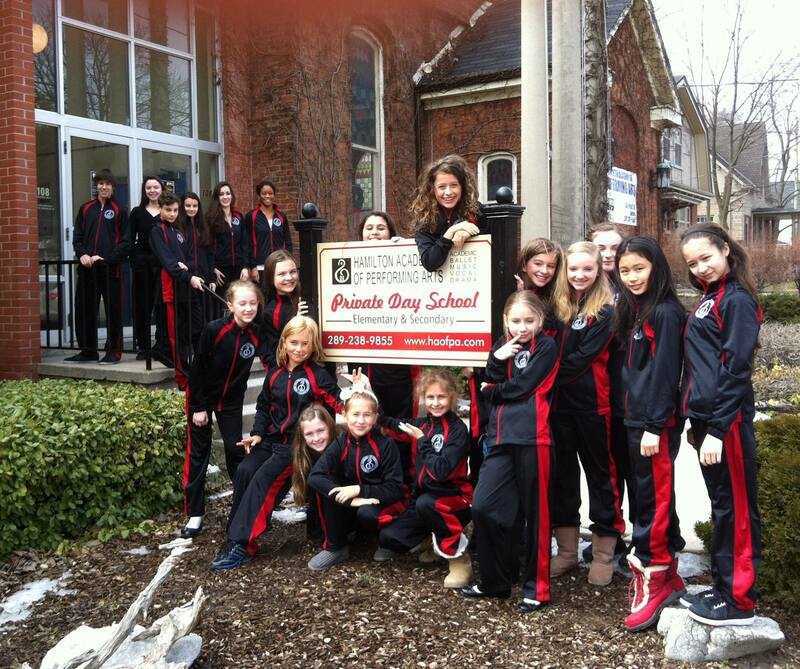 The Hamilton Academy of Performing Arts offers an academic program in both elementary and secondary school. We provide a program that is University preparatory, follows the Ontario Ministry of Education Curriculum and is taught by subject specialists. We are inspected by the Ministry and provide Secondary School Credits. 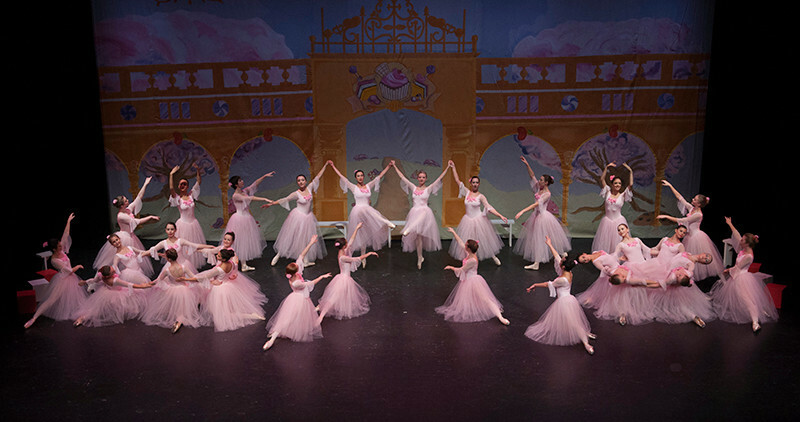 The link we build between our academic and artistic programs is unique and our students excel both artistically and academically. We offer a specialized Art programs in a supportive environment that strengthen the development of artistic abilities in Classical Ballet, Music, Vocal, and Drama. Help us make the dreams of our youth a reality. I wanted to take this time to thank you for the most wonderful experience my daughter has been a part of thus far in her life of a dancer. The growth we have seen in her since the start of rehearsals in September is amazing. Of course, watching it all unfold on stage this weekend was breath-taking. Before this experience, we had no idea that such a beautiful production was so close to home (Woodstock) for us. Thank you to everyone involved. Obviously, the amount of work that goes into a production like this is huge, and we appreciated every aspect of it. Thank you for the wonderful experience for my daughter Alexa to perform in the Nutcracker this year again. This was her second year as an angel and soldier and she was blessed with your guidance and classes. It was a fantastic show and it was an honour to have Sunday classes with you. These will be wonderful memories forever. Two years ago I was looking for a school for my creative, artistic daughter. She has a huge need to express herself, in quirky and unusual ways. Theatre, music and visual arts were her greatest passions. Initially, I was concerned about sending her to HAPA because of the strong ballet emphasis. At the time, she had only been dancing for a few months. I had some unfounded fears that ballet would be too rigid and might make her overly focused on body image. I also worried that a performing arts school might be too competitive and I wondered how that would affect the social dynamics. Two years later I am happy to share that my daughter has thrived artistically, academically and socially at HAPA. The environment is supportive, nurturing and collaborative. The culture encourages each child to strive personally and celebrate the success of his/her peers. HAPA has a high standard of academic learning and the small classes enable teachers to give the students a lot of individual attention. I would highly recommend HAPA and am happy to answer any questions prospective parents may have. HAPA has provided my daughter with a warm and nurturing environment which strikes a nice balance between academic commitment and creative self-expression. The school has built in her a solid foundation in the Classical Arts, which already serves to enrich her life, at the very least exposing her daily to a wonderful world beyond gadgets, screen monitors and technology. Thank you to the City of Hamilton for their support through the City Enrichment Fund.